Already CNN Hero, a Nepali Blazes a Unique Path. This entry was posted in Uncategorized on January 21, 2014 by Donatella Lorch. Pushpa Basnet’s home, like many places in Kathmandu, is hard to find. I had to call her several times for directions as I drove into the dust-caked northern part of Nepal’s capital city, navigating the ubiquitous ruts created by road construction, the jams from overloaded buses dropping passengers in mid-lane and the sea of motorcycles oblivious of any traffic rule. Finally I found the right turn into the narrow alleyway that led to a black gate. Pushpa was waiting there, a young woman all smiles, her black hair in a tight bun, a baby in her arms and children tagging behind. I have reported from and volunteered in many orphanages in Africa and South Asia and often felt they were defined by a tangible sadness if not despair. For a stranger entering this home for the first time, the warmth was unmistakable. 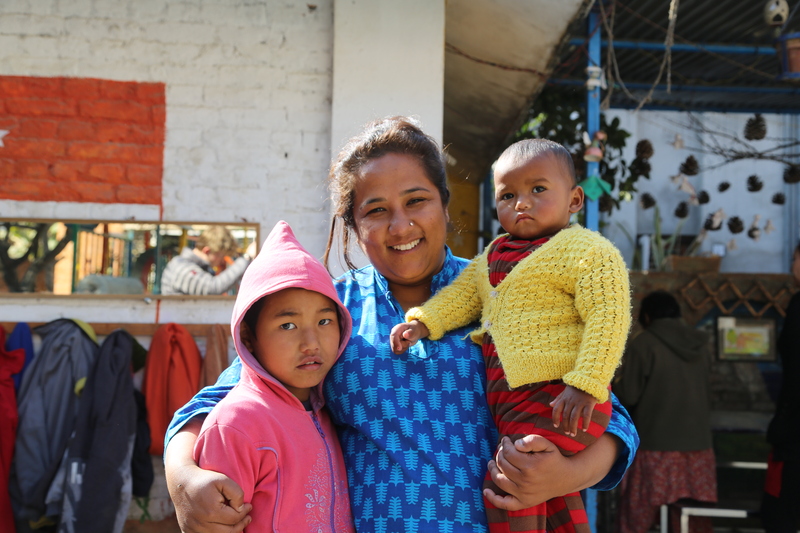 Pushpa, 29, founded and runs a home for children who have one or both parents serving long prison terms. She lives with her 45 wards that range from 14 months to 18 years in a simple three-story brick house without running water. 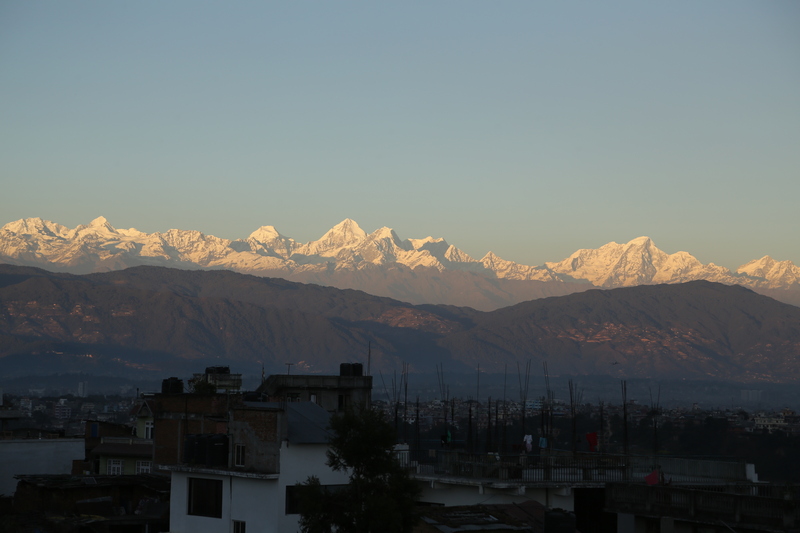 In Nepal, a country whose major claim to fame is as home to Mt Everest and great trekking, Pushpa is different. She is a CNN Hero 2012. I had wanted to meet her in part to see what made her a ‘hero’ and what a CNN Hero does after they have won their award. I left a few hours later feeling that I had met an extraordinary woman with unusual inner strength, humility, smarts and a seemingly endless amount of love and positive karma to share. If heroes are made on a battlefield, Pushpa’s is far from the world’s attention. She is not a media star in Nepal. But she is a star in this home. She is Mamu, a very unusual mother. 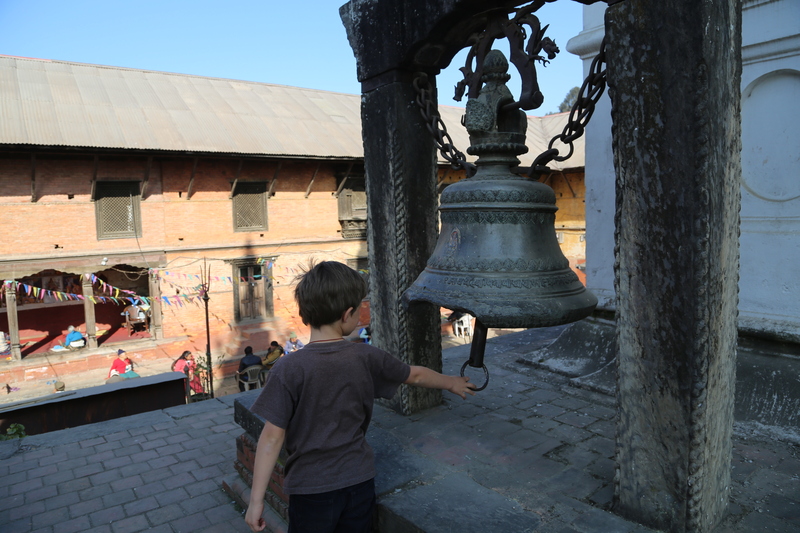 The children at ECDC, a home to children of Nepali prisoners, greet visitors. Pushpa’s organization, the Early Childhood Development Center (ECDC), houses the children of prisoners and pays for their education. But this is just the bare bones of what happens here. By her own admission never a great student, Pushpa says she found her calling in 2005 after she was temporarily suspended from school and began to visit prisons as a social worker. One of the world’s poorest countries, Nepal lacks a social safety net that can help the children of prisoners. As a result, if the child has no guardian, it must go live in prison or on the streets. In 2007, Pushpa started a residential home with just two children. 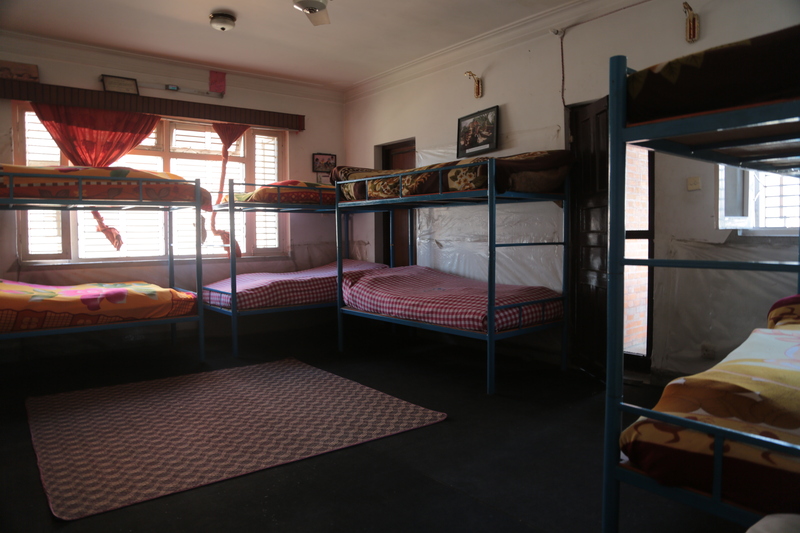 Through a complex legal guardianship process, Pushpa has now brought 32 girls and 13 boys here from 22 prisons. Most of them are between ages 4 and 8. She also runs a daycare center in Kathmandu prison. Pushpa focuses on children whose parents are serving long sentences for crimes such as drug and human trafficking and murder. Herself a product of boarding school, Pushpa created her home on a similar model. The children live in impeccable though Spartan dorm rooms. The small ones sleep two to a bed for physical and emotional warmth. “Hugs are very important,” grins Pushpa who grabs her little ones to ruffle their head or exchange a kiss. Prizes of ice cream outings are given monthly to the cleanest rooms. Everyone studies together on floor cushions in the evenings. They have four meals a day of dal and rice with homemade pickles made by the gallon by Pushpa. They can afford meat (chicken) only once a week. The dormitory rooms are immaculate and Spartan. As much as possible, she wants her children to have a normal life. Aside from paying their school fees, Pushpa has hired a Tae Kwon Do (one of Nepal’s major school sports) teacher to come to the house and train. Painting is also a key activity. One girl, whose father died of an overdose and whose mother is serving a 25-year sentence for selling and using “Brown Sugar,” (heroine) has nerve damage that makes it difficult to speak but Pushpa encourages her drawing talent. And on weekends, everyone heads out for a hike to a nearby hill to play games and fly kites. This is Pushpa’s favorite time. “This is the one place I can be myself and just run around,” she explained. On holidays, the children return to the prisons to stay with their parents. Pushpa must compete with Nepal’s orphanages for funding. With foreign adoptions suspended, orphanages are overcrowded and underfunded. 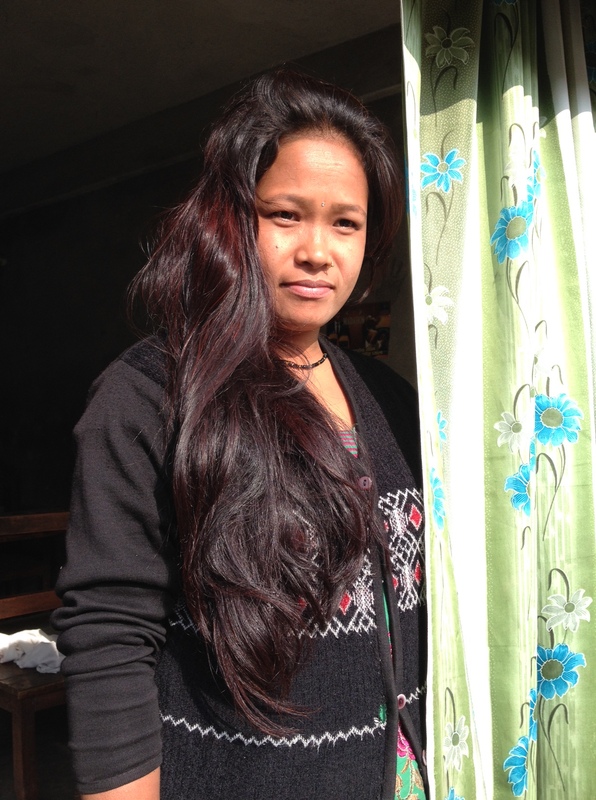 Pushpa’s biggest challenge is finding a permanent home. So far, ECDC has moved five times. Her CNN prize money has gone towards buying land to build her dream “Butterfly Home.” She is now fund raising for the $400,000 she needs to build the home and make it a reality. At times, serendipitous encounters, are magical. Coming back from his honeymoon, her brother chatted with a fellow plane passenger who was coming to visit orphanages she was supporting. 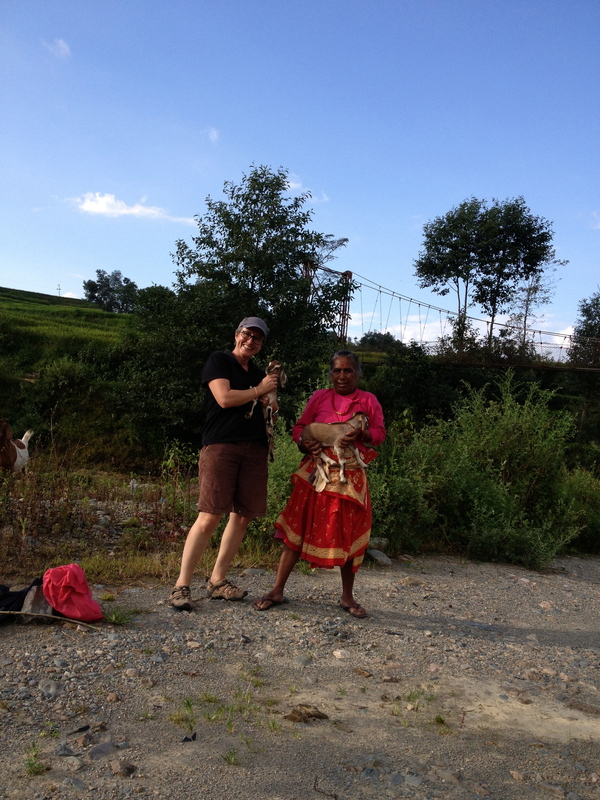 Today, this woman supports 23 of Pushpa’s children with $3,000 a month. Of the children Pushpa has raised since 2005, 120 have left and 25 of the parents remain in contact with the school. 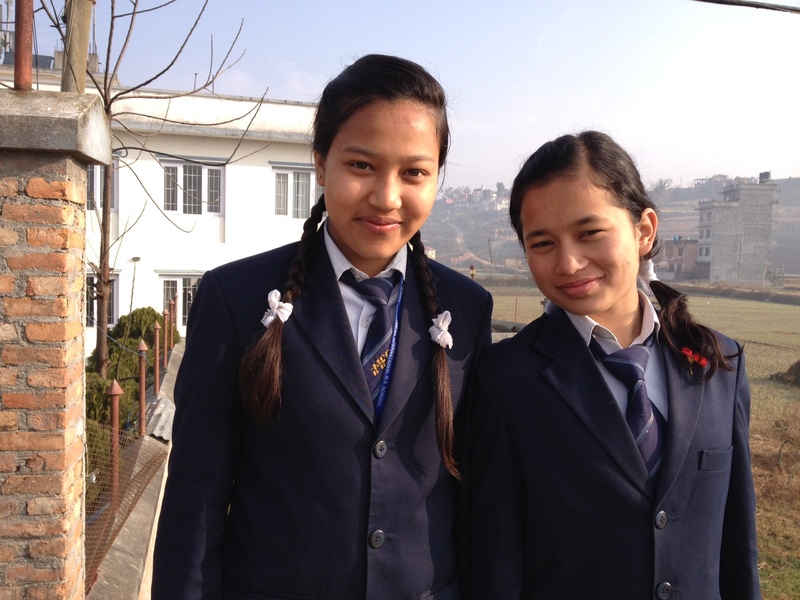 Pushpa continues to pay for many of their school tuitions. 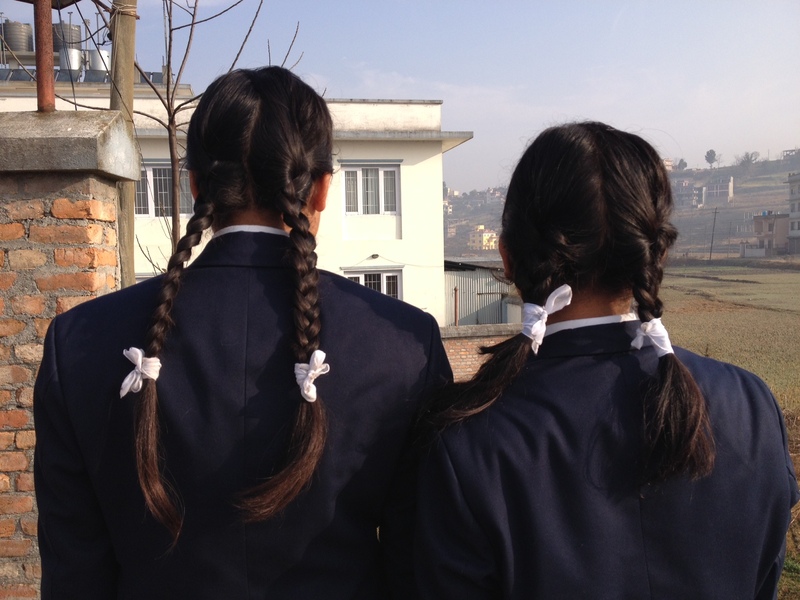 Fourteen of Pushpa’s wards were abandoned by their parents after leaving prison but the kids continue to live at ECDC. There is a circle to Pushpa’s life. 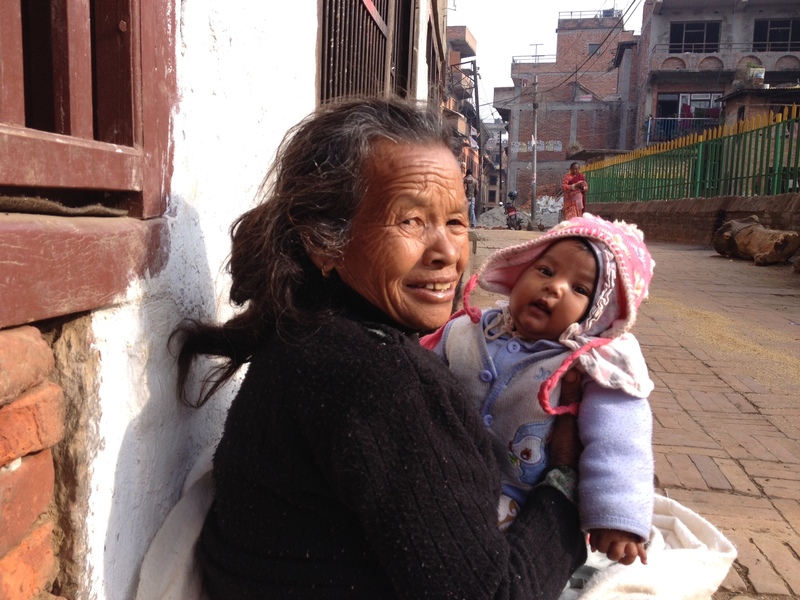 Over a year ago, Pushpa was handed a 45-day-old girl by policemen. The baby’s mother had just been burned to death by her husband for failing to make him an omelette. The father is serving a 10 year sentence. The little girl, Pushpanjali, is now 14 months old and Pushpa has been given complete guardianship. At lunchtime, the older children feed and look after younger ones. But every spare moment when she can grab her away, Pushpa is picking up Pushpanjali to nuzzle and hug her. 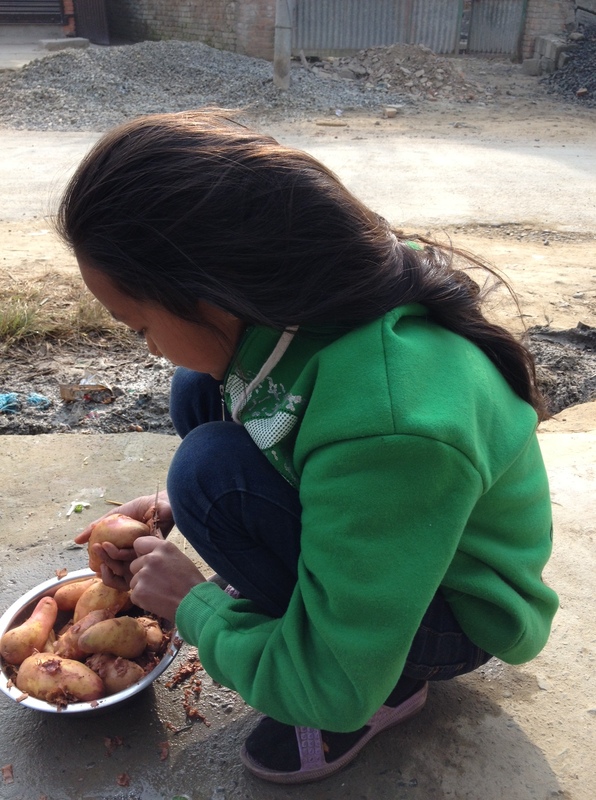 This entry was posted in disadvantaged children, Kathmandu, living overseas, Nepal, south asia, Uncategorized and tagged children, CNN, CNN hero, crime, diesel shortages, heating, Kathmandu, Kathmandu Valley, living overseas, Nepal, Nepal news, prison, pushpa basnet, south asia, World on January 21, 2014 by Donatella Lorch. 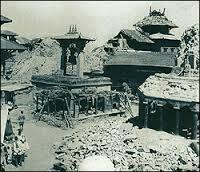 January 15th is the 80th anniversary of the 8.4 magnitude earthquake that destroyed Kathmandu in 1934. Within a minute, 17,000 people were dead in Nepal and Northern Bihar. In Nepal’s capital, Kathmandu, 80,000 buildings crumbled and 8,500 people died. Though earthquakes are frequently felt in the capital city (two since August), earthquake history shows Kathmandu gets hit by a major quake every 75 years or so. In a recent email, the U.S. Embassy here in Nepal reemphasized the need for being prepared for the inevitable: “it is not a matter of if but of when,” I was reminded. We are definitely due. John, my husband, argues with my angst. “Earthquakes don’t observe anniversaries,” he reminded me this morning. Followed by the line he used to convince me to move here six months ago: “Earthquakes aren’t like pregnancies. 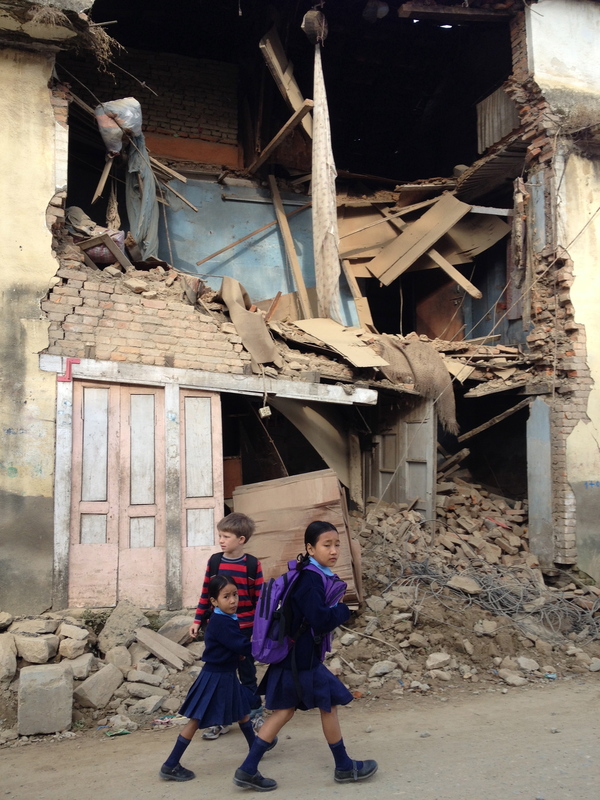 They don’t have due dates.” We have learned some lessons in our half year in Nepal. I slept through the 5.0 magnitude earthquake in August and was shaken awake by John yelling “Earthquake!” We then walked out onto our balcony instead of doing what we were supposed to do: grab our son from his bed and get out of the house. But today the anniversary reminds me of the cataclysmic possibilities. Knowledge is power after all and to be terrified all one has to do is go surf Google. 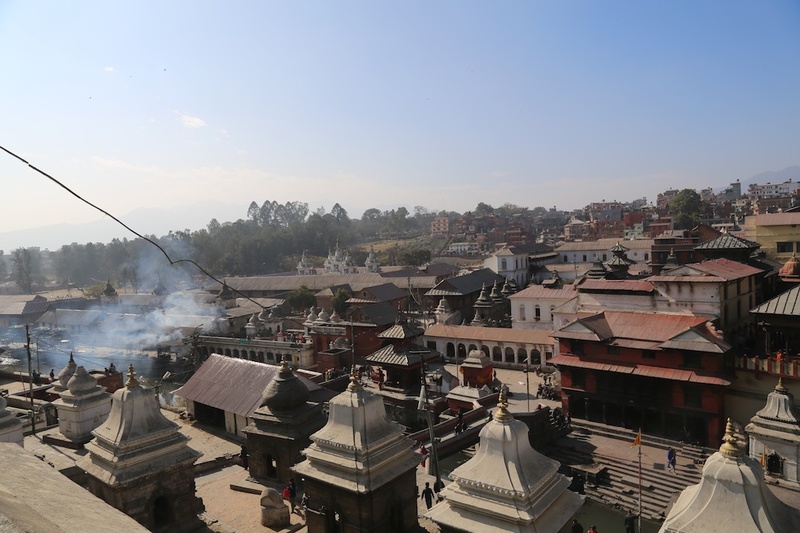 The Kathmandu valley sits on an ancient lake bed, a big bowl of jello that in earthquake language is called a liquefaction zone, an area that magnifies shock waves. The mountains circling us volley the shock waves back into the valley magnifying the damage. In Kathmandu, earthquake talk is common. There are the worriers like myself and the ostriches, who prefer to keep their heads solidly in the sand. 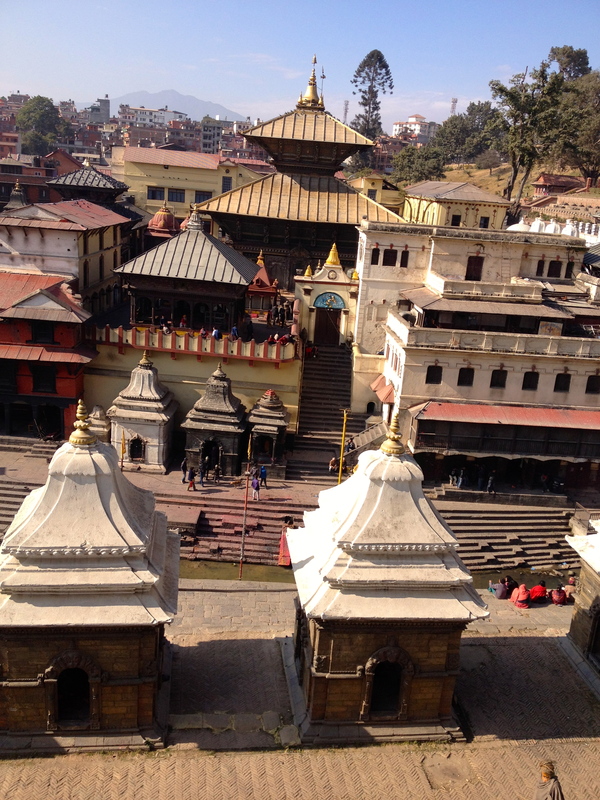 Kathmandu is not the same city as in 1934. More than 2.4 million people now live in a densely urbanized valley where the population has grown by 500 percent in the past 50 years. Building codes are haphazardly enforced if at all. Buildings are built on the cheap with substandard bricks and concrete. 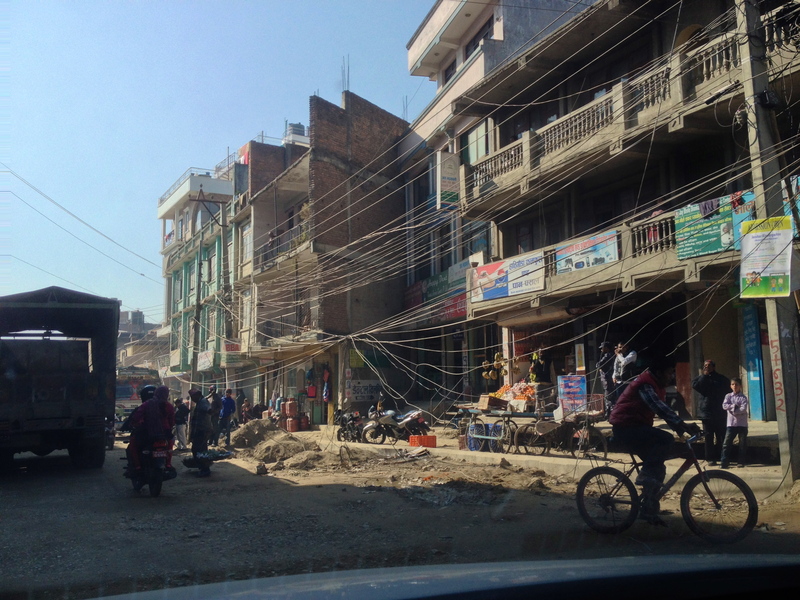 The narrow streets are a spider web of black interlaced cables and electrical wires. When they crumble, the roads will be impassable except on foot. Lucas, my eight-year-old, has tagged buildings on the way to his school as those that will pancake and those that might stay standing. The former wins. Houses are poorly constructed and building codes are not enforced. In a recent earthquake preparedness meeting, experts including OCHA, the UN Office for Coordination of Humanitarian Affairs, estimated that an 8.0 quake could displace 1.8 million, kill 100,000 and injure at least 300,000 people. Hospitals will be overwhelmed if not destroyed and clean water, food and medicine will be in short supply. Sounds bad? Now stop and think about how help will get into the valley. Experts believe that a large earthquake will make most if not all the impossibly narrow precipice-bordered roads into the valley (there aren’t that many to begin with) impassable and blocked by landslides and will seriously damage the airport. There are 19 bridges between our house and the airport. Looks like walking will be our main means of transportation anywhere. The message from the UN and the embassies is straightforward: we have to survive with no outside help for at least two to three weeks. As a World Bank family, we fall under the UN security network. We have neighborhood wardens and every few months do practice drills. With phones and communications most likely unusable, we are on a radio system and do weekly radio check-ins. We store potable water, food and clothes in a safe area outside our house and have go-bags ready. My friends and I joke that they really should be called “stay bags” as no one is going anywhere outside the valley. Lucas knows his earthquake drills from both school and home. Drop, Cover, Hold. We have identified the areas in our home which hopefully wont cave in. 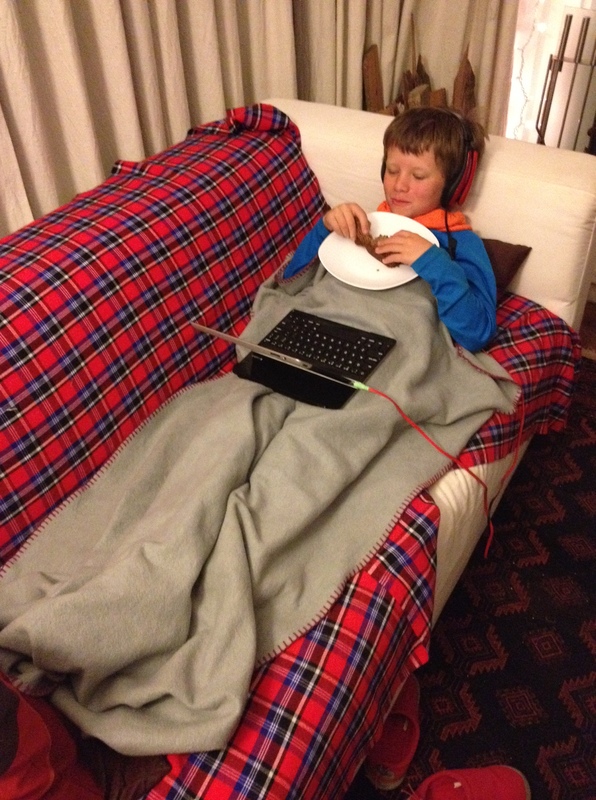 Lucas sleeps on the bottom level of a bunk bed (extra head protection). I make sure he has a flashlight under his pillow, water and a whistle. His clothes are piled on a bed corner at arm’s length (with an extra sweater in the present cold winter months) He has a whistle in his school bag too and he himself asked for a face mask. He reasons that this very dusty city will be choked in clouds of rubble dust. His school is well prepared too with food and water and parents have been assured that it will last several weeks for all the students. Lucas knows that it might take me more than a day to get to him. We are at least a bit prepared. Many are not, especially many Nepalese who are fatalistic about earthquakes and see them as the hand of God (or Gods as there are millions of gods here). Years of covering war zones as a reporter has translated into my managing family earthquake logistics. I know that our best chance of survival begins with avoiding serious injury. Unfortunately, I can’t control that. It is the post quake panic and chaos that worries me a touch. Luckily, I live in a heavily agricultural suburb with a vast number of cows, buffalo, goats, pigs, chickens and ducks. Not enough for 1.8 million homeless but it is a start. The earthquake preps have had light moments too. When a US embassy warden asked me for the satellite coordinates of my house, I provided him with the ones given to me by the United Nations. He emailed me back a few days later rather confused: “You live on the Indian border?” he asked. “I thought you lived in Kathmandu?” It is good to laugh in the face of disaster sometimes. 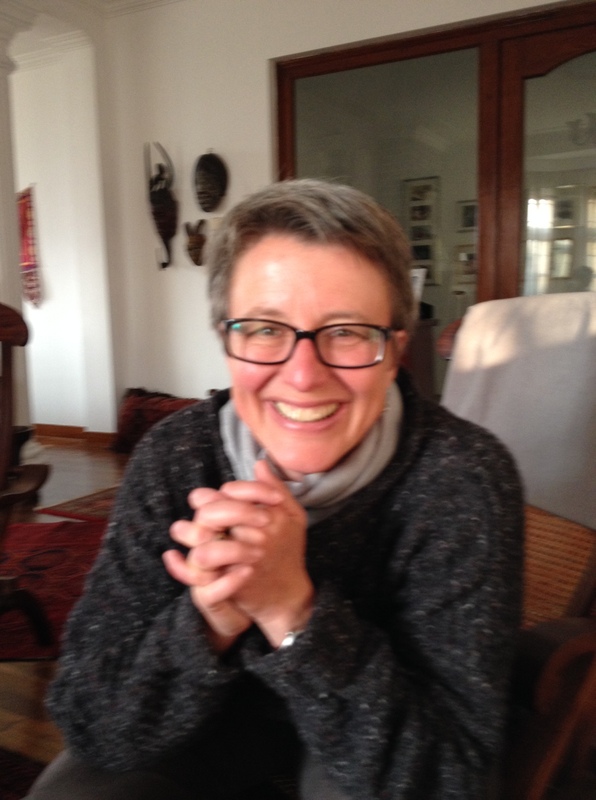 This entry was posted in earthquakes, Kathmandu, living overseas, Nepal, south asia, Uncategorized and tagged earthquake, emergency preparedness, Kathmandu, Kathmandu Valley, living overseas, Nepal, south asia, World on January 15, 2014 by Donatella Lorch. Waiting for The Power. Hoarding as Art. 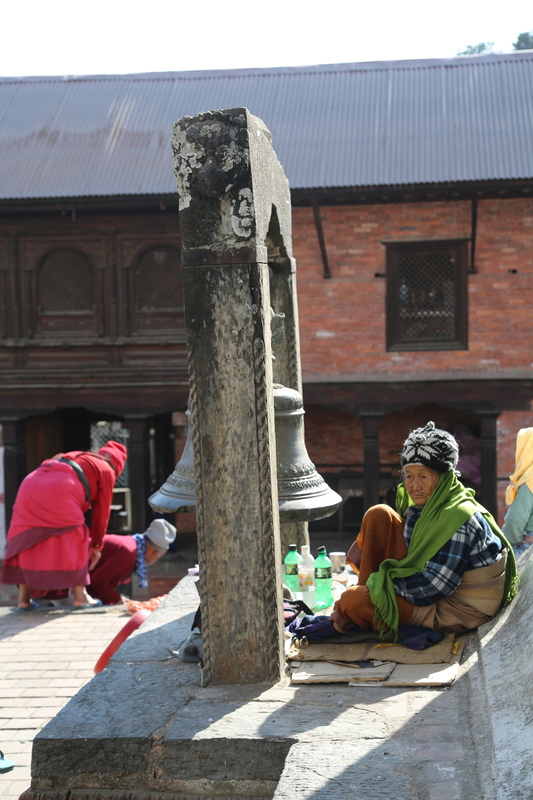 Winter Life in Kathmandu. This entry was posted in Uncategorized on January 10, 2014 by Donatella Lorch. 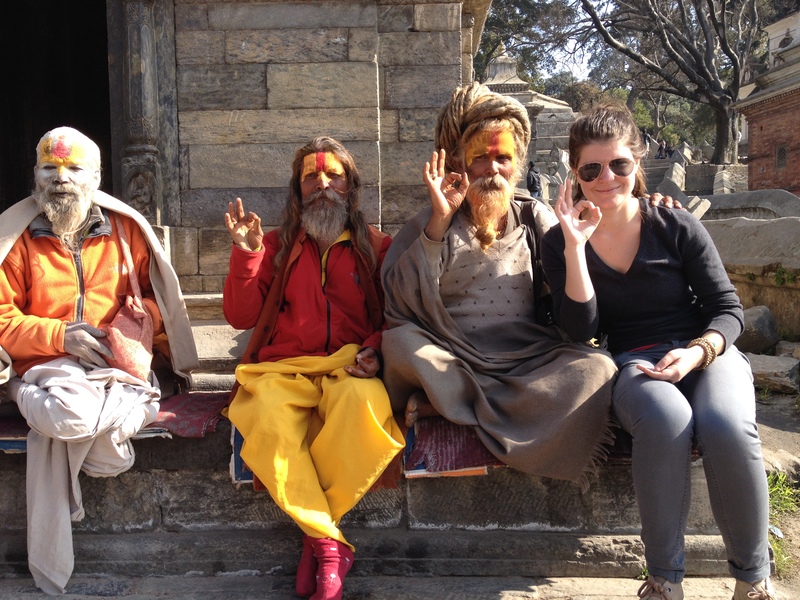 When Lonely Planet made Nepal one of the ten most memorable places to visit in 2013, the Nepali Times’ hilarious and sardonic “Backside” column came up with a slogan to attract tourists. “Visit Nepal, See Stars” it wrote, noting that there is no light pollution in Nepal because there is no electricity, and so Kathmandu is the only capital in the world where one can admire the Milky Way from the heart of downtown. When I moved here in August, I thought this slogan was exaggerated, as electricity was cut for only two hours a day. But I was wrong. 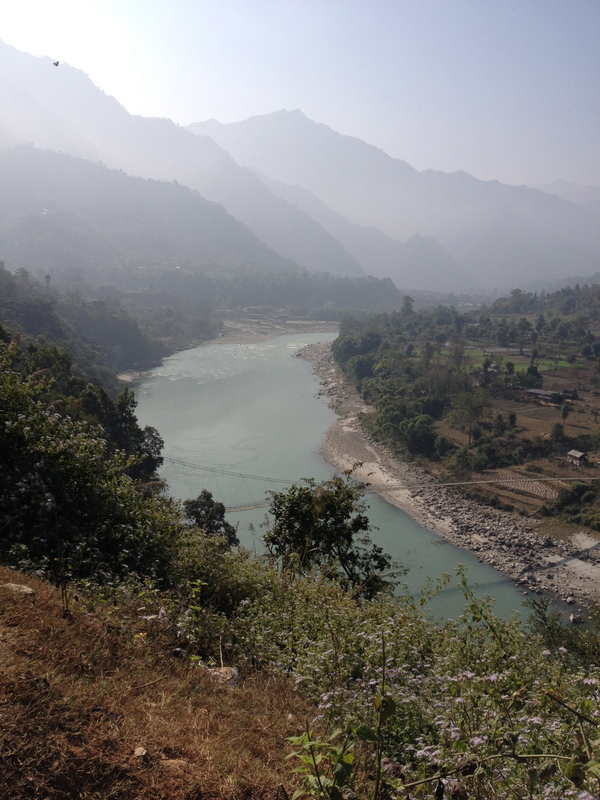 Most of Nepal’s electricity is generated using hydroelectric power plants, whose turbines are driven by the run of the river. That is great in the summer, during the monsoons when the Himalayan glaciers are melting and the rivers are overflowing with water. But it is terrible in the winter, when the glaciers freeze, the rivers stop flowing, and the turbines are turned off. There is far less power generated than there is demand and to make matters even more dire, 25% of electricity is either stolen or “lost” because of poor maintenance. And this is in a country where demand is increasing rapidly, as population grows and more people move to the urban areas, seeking urban conveniences. This week, the new load-shedding schedule, officially issued by the Nepal Electricity Authority, is scheduling Kathmandu residents for 12+ hours a day, or 80 hours a week, without power. By next month, if past experience is any guide, the cuts will jump to 18 hours a day or more. Government-run industries are protected, getting only 9-hour-a-day cuts, while the private sector has to cope with 14 hours a day. The rains are still months away. At first, the lack of electricity was aggravating, as it tended to happen early in the morning or at dinner time. Even though we are among the lucky few who can afford solar-powered batteries to run lights and electronics when the grid fails, a lot of what makes a house tick involves power hogs like irons and water pumps and washing machines, and with two six-hour stretches of powerlessness during the waking hours, the batteries just aren’t enough. This means no microwave, no iron, no toaster. No showers, as the water pump to the roof tank and the hot-water compressor, which gives us pressure, don’t work on batteries. No washing machine. The freezer stays closed. No stereo. No electric heat. But now, after a few days of frustration, I’ve begun to go with the flow. Toast is made on the stovetop, where food and milk are heated as well. Showers are cold and quick, under a trickle of water, or grabbed quickly when the power kicks in. Yelling in our house usually consists of one of us belting out: “Power is on!” And we rush to recharge, print a document, shower, or put in the wash. Unfortunately, though, we still don’t have heat—or at least not from our two roll around electric heaters. I know that I shouldn’t complain, because no one has central heating in Nepal—no house or school or shop or office—even though it is now winter and temperatures dip to 0c (32F) at night in the Kathmandu valley. Those who can afford it warm rooms with 15kg propane heaters. This has its downsides: the smell, the potential danger of explosion and the fact that it only really heats a small area. I am writing in the warmest room in my house, with the sun on my back, wearing gloves and a down jacket—and a propane heater burning a few feet from my side. And I feel lucky. 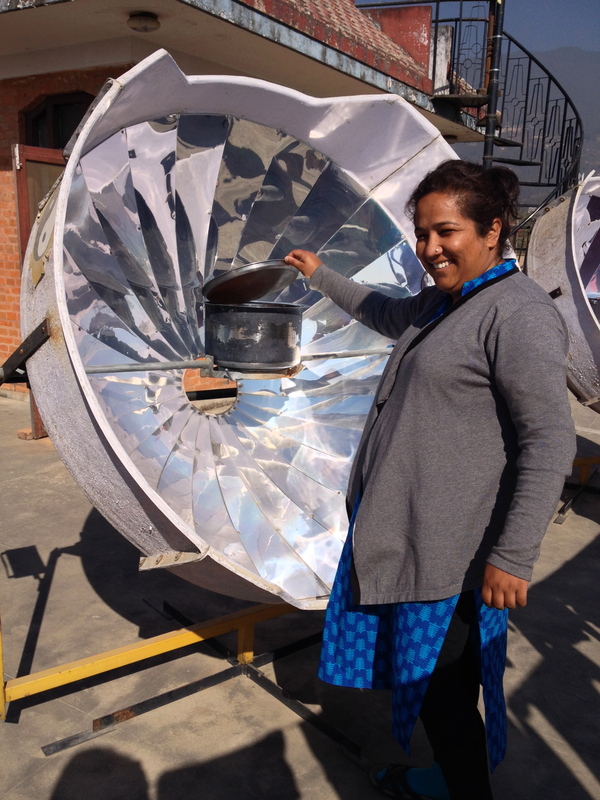 Nepal is one of the poorest and least developed countries in the world, where almost a quarter of its population lives below the poverty line, so propane-fueled heaters are only for the well-off. Winter brings other problems aside from electricity shortages. 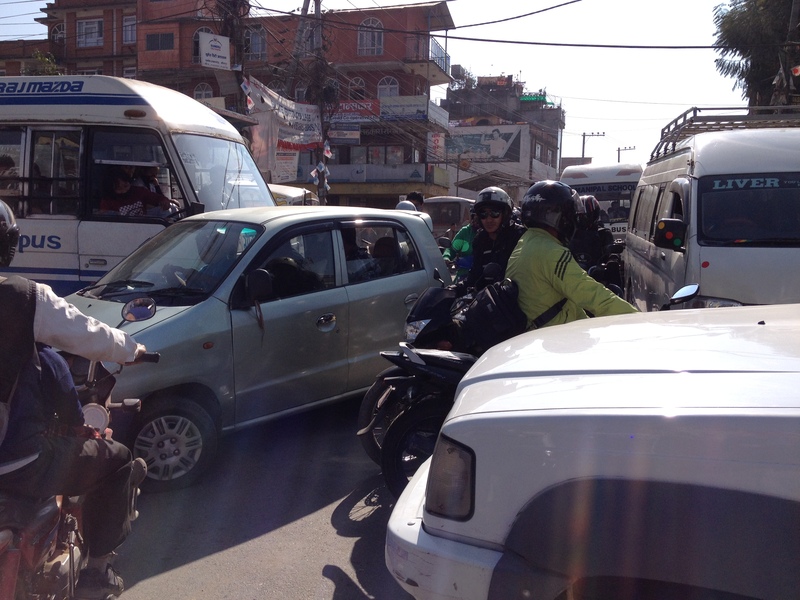 Fuel shortages and by association massive hoarding are among Nepal’s biggest challenges. Fuel can disappear for weeks. The country spends about 40 percent of its foreign currency reserve on the import of petroleum products. Diesel, petrol and propane are trucked in from India, a three-day drive from the border on narrow and treacherous mountain roads. The papers are full of pictures of truck and bus accidents. 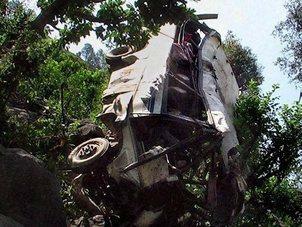 On a recent trip on the same road, we saw two trucks that had plummeted down terrifyingly steep precipices. Hoarding is an art that I have learned to practice. I store over 100 litres of diesel in the garage for my car and generator, as well as eight 15kg containers of propane for cooking and heating. If you can afford it, it is the only way to live reasonably comfortably. Recently, diesel, which is used by larger cars and trucks and generators, was no longer for sale in Kathmandu. The government had announced an upcoming price hike (it now costs $4.15 a gallon) and so the gas stations sat on their stocks waiting for the price hike to take effect. 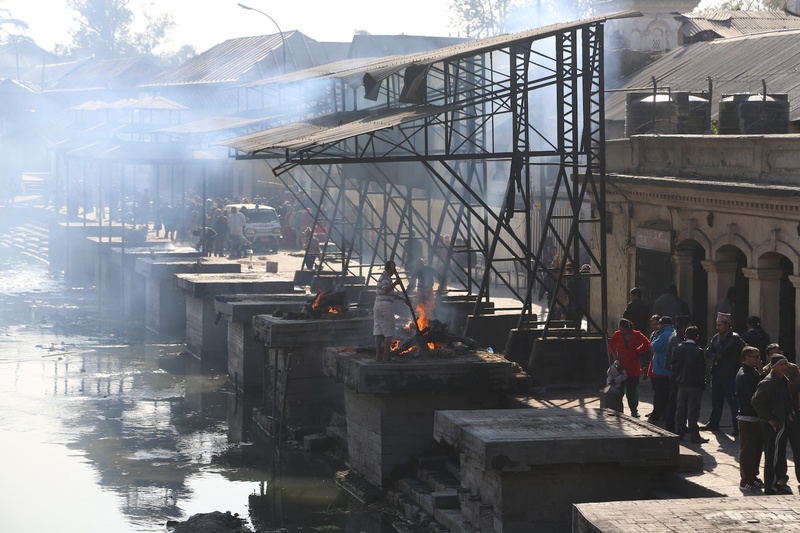 After a massive outcry from Kathmandu residents threatening strikes, the government ultimately backed off the price hike and stations began selling again, but now press reports say petrol transporters are threatening a strike halting all petroleum product transportation starting this weekend. Recently angry consumers mobbed and detained a top official visiting their district to protest propane shortages. 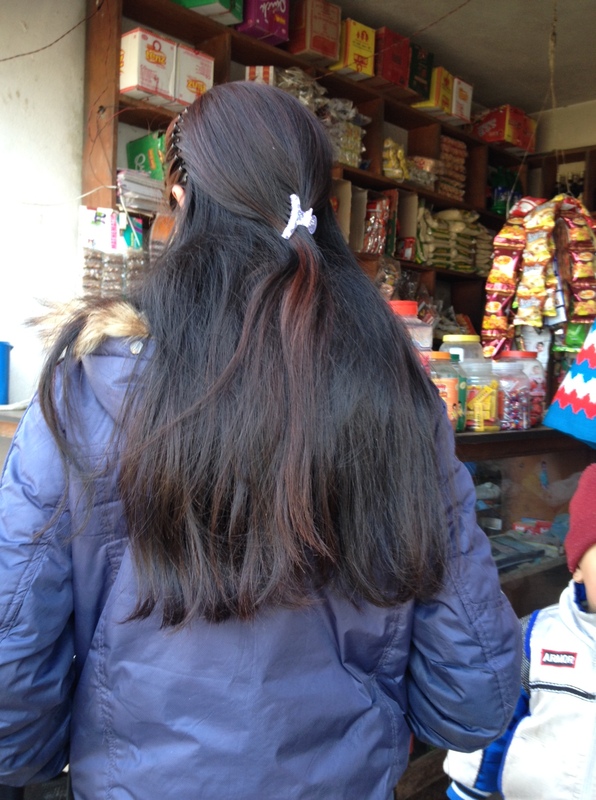 This entry was posted in Kathmandu, Nepal, Uncategorized and tagged cold, diesel shortages, electricity, fuel, heating, Kathmandu, Kathmandu Valley, living overseas, Nepal, Nepal news, road accidents, shortages, south asia, winter on January 10, 2014 by Donatella Lorch.